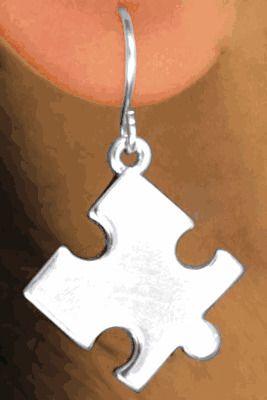 Autism Awareness Puzzle Piece Earrings - they look simple, but they're beautiful when you get them on! Because of their dangly design, they move while they're on your ears and catch the light. 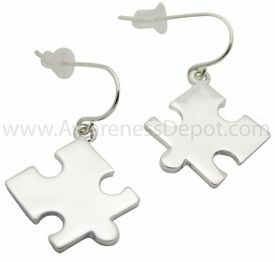 The solid puzzle piece design is sure to catch eyes and it looks great with casual or elegant outfits both. These adorable silver toned earrings measure 1 3/8"L x 7/8"W.